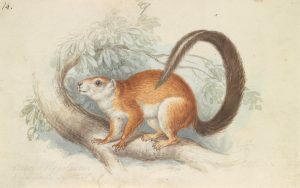 “Duvaucel’s Squirrel” (ca. 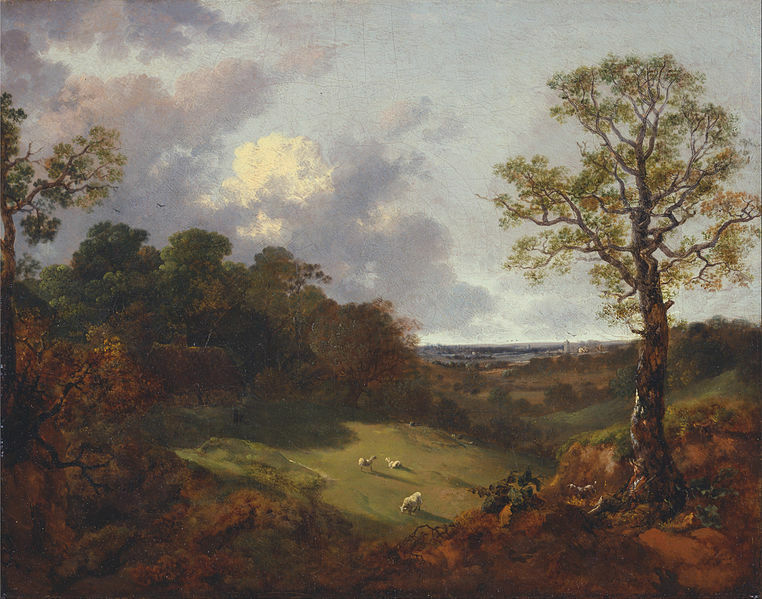 1837) by Charles Hamilton Smith (1776–1859). Yale Center for British Art, Paul Mellon Collection. Scholarship concerning Eliza Haywood overwhelmingly bends towards misogyny and dismissal. Since the publication of Kathryn King’s herculean Political Biography of Eliza Haywood (2012), scholars and students alike have begun to shift those decidedly problematic stances towards an appreciation of Eliza Haywood as an author integral to our understanding of eighteenth-century literature. This still-emerging narrative runs counter to attempts to understand Haywood on a pre- and post-Dunciad, Alexander-Pope-defined timeline that has been cemented by centuries of conjectural scholarship and, at times, ad hominem attacks on Haywood’s person and supposedly lewd amatory writing. [i] The assumption that Pope’s petty insults against Haywood caused a period of unproductive reclusion followed by a conservative reformation of her writing occlude and foreclose potential readings of Haywood’s writing which might prove liberating, progressive, or which simply object to the perpetuated fiction that Haywood was a hack, an amatory novelist turned moralist writer. What follows, then, is an attempt to assist in curving Haywood’s critical arc and to continue the project of cataloguing the concerns present in her prose which make her a “slippery, fluid, multifarious, strategic, opportunistic, [and] chameleon-like writer” (King 195). Writing in 1791, Ralph Beilby broadly waxes about squirrels, “This beautiful little animal is equally admirable for the neatness and elegance of its formation, as for its liveliness and activity” (352). Though written after the publication of Betsy Thoughtless, this brief entry on squirrels illuminates the popular attitude toward the rodent and helps explain why Betsy is smitten with the squirrel Trueworth sends to her as a gift. In the letter that accompanies the squirrel, Trueworth recalls Betsy’s delight at the sight of “the pretty tricks of a squirrel, which a lady in the company [at Oxford] had on her arm” (Thoughtless 137). Trueworth downplays both the romantic and monetary significance of his gift calling it “so trifling an offering” (Thoughtless 137). Trueworth’s self-deprecation and downplaying of his gift to Betsy is indicative of his overall disposition: polite and mostly inoffensive. As Betsy and the women in her company examine the squirrel, they begin to recognize that the gift is a significant gesture on Trueworth’s part. The narrator describes the squirrel as “doubtless, the most beautiful creature of its kind, that could be purchased” with a “chain . . . [of] gold, the links [of which were] very thick, and curiously wrought” (Thoughtless 138). The trappings of the pet squirrel come to represent several desirable qualities found in Trueworth’s character. As Ingrid Tague argues, “Collars, like human clothing, could be the sites of luxurious display, sentimental attachment, or modest utility” (41). Aside from its practicality, the leash and collar of the squirrel simultaneously displayed “the elegance of the donor’s taste . . . [and his] respectful passion” while also conspicuously displaying Trueworth’s economic prosperity (Thoughtless 138). Haywood’s preoccupation with the description of the squirrel and its accessories is indicative of a larger trend of fashionable pet keeping during the eighteenth century. As Tague notes, “On some level . . . pets were fashionable consumer goods” at that time (92). [iii] English pet shops began selling more exotic species while also appealing to less adventurous consumers with commonplace animals like squirrels, whose appeal stems from their “attractive characteristics as small, clever, and fairly clean animals” (Tague 92). The squirrel becomes a token, not only of the attention that Trueworth pays to Betsy’s desires but also his ability to financially support those desires. Despite the implications of Trueworth’s gift, Betsy later marries “a gentleman named Mr. Munden,” a lover initially described as “soft and complaisant” (Thoughtless 295, 486). His courting of Betsy does not involve the extravagant gift giving that characterized her relationship with Trueworth. Rather, Munden conducts his courtship as shrewdly as possible and “with less love, perhaps, than many, who had addressed her” (Thoughtless 296). At the incessant badgering of her older brothers, Betsy acquiesces to marry Munden, not for his displays of passion or affection, but because she has “gone too far with Mr. Munden to be able to go back with honour” (Thoughtless 484). The timbre of Betsy’s engagement, then, is not wonder, as she felt at the sight of Trueworth’s gift, but tolerable consolation for having toyed with Munden for too long. Soon, however, a “darkening gloom” overtakes their relationship, as Munden realizes that he cannot financially support Betsy’s lifestyle (Thoughtless 498). Munden becomes “excessively parsimonious at home” and reduces Betsy’s pin money to such an inadequate sum that she is “without means to support her character” (Thoughtless 499). This tension erupts in a series of arguments concerning Betsy’s spending and personal funds. With a “surly look,” Munden expresses to Betsy his fear that “she [is] a bad economist” (Haywood 499). By all accounts, Munden’s temper surprises Betsy who finds his demeanor “cold and indifferent” (Thoughtless 501). The omniscient narrator details Munden’s belief that “a wife [is] no more than an upper servant, bound to study and obey,” and because Betsy’s objections to her pin money allotment threatens his control over her, Munden “fixe[s] his resolution to render himself absolute master” (Thoughtless 507). Munden’s character, by this point, is diametrically opposed to Trueworth’s. As Munden is “ready to burst with an inward malice,” the narrator reminds us of the gift Trueworth had made to Betsy, “a present of a squirrel . . . [her] first token of love” (Thoughtless 507). The care she pays to the squirrel makes it the target of Munden’s wrath. Whereas, Trueworth provided the squirrel, Munden acts to take it away permanently. Munden grabs the squirrel “by the neck, and throw[s] it with his whole force against the carved work of the marble chimney” where the rodent’s “tender frame [is] dashed to pieces” (Thoughtless 507). During this disturbing act of animal abuse, Munden delights in his destruction, “Here is one domestic, at least, that may be spared” (Thoughtless 507). Munden betrays one of the specific reasons he killed the squirrel—to ease the household debt by ridding it of at least one expense. As Tague notes, “pets embodied the worst excess of fashionable consumption, thanks to the fact that in addition to their status as fashionable goods, they were also literally consumers, draining resources” (94). Betsy is deeply troubled by Munden’s action, “the massacre of so unhurtful a little creature” (Thoughtless 509). [iv] It is not Trueworth’s connection to Betsy and the squirrel that causes Munden to kill it but, rather, the perceived overabundance of attention with which Betsy lavishes it–the pet she “always cherished”–and the cost of its maintenance (Thoughtless 507). Despite the “splenetic and barbarous” nature of the murder drawing the righteous indignation of Betsy and potentially disturbing the modern reader, the social company that Munden and Betsy keep do not overtly condemn or vilify his actions (Thoughtless 509). Even after Betsy tells Lady Trusty, a confidant, about the incident and suggests pursuing a legal separation from Munden, Lady Trusty impresses upon Betsy the “absolute necessity for a reconciliation” as “all you [Betsy] can accuse him of will not amount to a separation” (Thoughtless 511). Because Munden views both his wife and her pet as his personal property, he believes that he is well within his legal rights to act against them as he sees fit, and to no small degree, he is correct. Efforts to legislate animal abuse began to shift public sentiment concerning the well-being of non-human species at the end of the eighteenth-century, decades after the publication of Betsy Thoughtless. These anticruelty movements were limited, though, and only “focused on working animals” and livestock (Tague 157). David Perkins notes that while, for example, the reformation of prison conditions was championed by John Howard leading up to 1774, the “cause of animals did not enlist comparably dedicated persons” (44). [v] Outrage over the abuse of domesticated pets “was still far in the future . . . for anticruelty advocates” and as Tague points out, “it would be reasonable . . . to envision the eighteenth-century as very distant from our own pet-loving culture” (157). Rob Boddice highlights the laxity with which early anti-cruelty legislation was formulated claiming that “Very occasionally, the charge of cruelty had in mind the consequences done to specific animals” (15). [vi] This is a significant part of Lady Trusty’s argument against separation; Betsy’s case against Munden rests on no real legal ground, as Munden did not actually break any contemporary law when he killed the squirrel. According to Lady Trusty, attempting to separate from Munden would prove fruitless and potentially cause Betsy further harm. Betsy’s concern and attempt to correct the abuse committed against her pet, however, is particularly uncharacteristic of the period. While Haywood writes about pet keeping at other times, she does not write as frankly about the inhumanity of animal cruelty elsewhere in her bibliography. In her novel, The History of Jemmy and Jenny Jessamy (1753), Lady Speck dismisses the loss of a womanizer and “coxcomb,” Celadine, as akin to “the loss of a squirrel or monkey who has diverted one with its tricks” (208). Here, the squirrel is dismissed as a mere bauble, easily forgotten once lost. In the Epistles for the Ladies (1748), Hillaria writes to Clio, two eidolons Haywood assumes, asking whether or not a “Person, whose Pleasure is in the Company of a Dog, a Monkey, a Parrot, a Cat, a Horse, or any other Species of the Brute Creation, [can] be imagined to have Taste for the Conversation of Cherubs, Seraphs, and the rest of the Angelic Throng” (293-4). [vii] While dismissive of those fashionable individuals that keep pets, Hillaria makes sure to clarify that she did not mean to offend Clio, who keeps “Tib, your little favourite Squirrel” for a pet (Epistles 294-5). Hillaria appears to hold a similar view of pet keeping to that of Lady Speck and goes as far as to associate a lack of religiosity with those who excessively fawn and dote over pets. An exception is made, however, for Clio’s squirrel, which Hillaria deems one of the “harmless Animals,” though, this does little to alter the overall tone of the letter which condescends greatly toward pet owners (Epistles 295). While these figures do not abuse animals, they certainly share Munden’s belief that the attention given to animals, their lives, and their loss are ultimately inconsequential. As they far better resemble Munden’s character, the men of Mira’s story do provide clearer insight into the reactionary nature of his animal abuse. If one were to swap the dog for a squirrel, Mira would, in fact, describe the precise situation in which Betsy finds herself and, using the example given by Mira, we might better understand Munden’s intention when he murders Betsy’s squirrel. Because Betsy pays, what Munden deems, a frivolous amount of money on and attention to the squirrel, he abuses her pet in lieu of physically harming Betsy and further reducing her pin money allowance. The squirrel, thus, mediates the physical and economic harm done by Munden against Betsy. Through the examples of animal abuse committed by the unnamed husband of Mira’s anecdote and Munden, Haywood convincingly frames marital aggression against animals as not only an exclusively male attack on a wife’s personal and economic autonomy but also a means of mediating a husband’s desire to physically assault his wife. To return to the language of the text, if Munden continues to find Betsy’s spending excessive, she might easily become yet another “domestic . . . spared” (Thoughtless 507). While Haywood’s depictions of pet keeping and animal cruelty vary from overwhelming dismissal to sincere concern, the latter impresses upon modern readers the potentially progressive nature of Haywood’s writing. Betsy’s attempt to rectify her husband’s animal abuse and economic stricture through legal separation, though ultimately unsuccessful, as well as Haywood’s poetic deus ex that releases Betsy from her marriage through Munden’s death to seek out the newly widowed Trueworth, predate most historical attempts to condemn harm towards household pets. Ultimately, if we are to begin bending Haywood’s critical arc towards an end which positions her as a “mistress of multiplicity,” we must embrace the contradictory viewpoints Haywood confronts in her writing as indicative, though not necessarily reflective, of her own complicated subject position as a female writer in the eighteenth century (King 195). As Alexander Pettit notes in his introduction to The Wife, Haywood approaches the issue of wifehood through diverse means in equally diverse genres. According to Pettit, such “Juxtapositions . . . suggest that although Haywood may have chosen to entertain certain socio-generic fantasies in her novels, she did not do so naively” (Works I.III 3). Haywood’s writing is anything but linear or formulaic, and, as Pettit acknowledges, we must assume that Haywood did not include various depictions of pet keeping, as she did with marriage, without a reason for presenting these multiple subjectivities, fictional and practical alike. [x] Thus, because writers were “denied the luxury of politically pure positions,” Haywood’s various writings on pet keeping across several genres sought to appeal to the multifaceted and multimodal audiences that consumed her writing (King 27). Haywood’s distinct depictions of attitudes concerning pet keeping and animal abuse suggest that, rather than composing with a rote amatory method, she created narrative voices that were often at odds with one another to confront looming questions concerning the fragility and aggressivity of the male ego, the prospect of personal and economic autonomy for women, and the value of animal life in the eighteenth century. [i] See James Sutherland’s edition of Alexander Pope’s Dunciad (Book II, lines 149-156) for this reference to Eliza Haywood. I suggest Sutherland’s edition because he claims that “Pope’s satire [of Haywood] was merciless, but not undeserved” (443). Much of the scholarship concerning Haywood presumes the purportedly devastating ramifications of these lines. This is a relatively invariable trend in Pope scholarship. However, King deftly rebuts scholarly work that relies heavily on Pope’s attack on Haywood as it “rests to an uncomfortable extent on readings of her life filtered through the detractions of her enemies as they are betted by present-day desires to give her an appealingly unconventional history” and relies heavily on “details drawn from the well-stocked cabinet of misogynistic satiric conventions” (5-6). [ii] While Richetti certainly notes the “significant domestic realism” of the scene in “Histories by Eliza Haywood and Henry Fielding: Imitation and Adaptation,” he places her work at odds with the writing of Henry Fielding, claiming that “Haywood’s interesting . . . exposure of ideological contradiction[s]” are the result of an imperfect imitation of Henry Fielding’s histories (255). Richetti’s reading of Haywood is yet another example of scholarship undermining the importance of Haywood’s work through comparative, deprecating, and, misogynistic criticism. Ultimately, Richetti concludes that the squirrel “is nothing more nor less than an interesting prop” and that Haywood’s Betsy Thoughtless, like the animal abuse scene, is “loose and opportunistic, [a] stringing together [of] striking scenes” which “Fielding doubtless would have disdained as literal-minded and vulgar, lacking true inventiveness” (“Histories” 258). By contextualizing Haywood, not against the work or presumed opinions of her contemporaries, but against the craft and views of her own works, the conclusion of this analysis reveals the incredible wit and flexibility with which Haywood considered marriage and pet keeping–rather than deeming Haywood’s writing a defense of “a conventional bourgeois ideology of female subordination and sexual suppression” (“Histories” 255). [iii] As Keith Thomas notes in Man and the Natural World: A History of the Modern Sensibility, “By 1700 all of the symptoms of obsessive pet-keeping were in evidence [in Britain]. Pets were often fed better than the servants. They were adorned with rings, ribbons, feathers and bells; and they became an increasingly regular feature of painted family groups” (117). The ubiquity of pet keeping in the eighteenth century cannot be understated. [iv] While the actions of Munden may come as a surprise to both Betsy and the modern reader, Erin Mackie claims in Rakes, Highwaymen, and Pirates: The Making of the Modern Gentleman in the Eighteenth Century that the identified social class Munden inhabits–the gentleman–is one steeped in a history of criminality and skullduggery associated with rakes, highwaymen, and pirates. Mackie notes that “especially in the case of the rake and the highwayman, unauthorized types often forward a claim to those very characteristics of gentility which the modern gentleman would monopolize” (4). While not legally considered a criminal for his actions, the history that Mackie traces proves helpful when attempting to explain Munden’s cruelty towards Betsy and her pet. Likewise, though Trueworth is deemed a gentleman, Mackie argues for an understanding of masculinity’s role in criminality and gentlemanliness which is by no means an assurance that every gentleman would act as Munden does in the text. [v] Perkins similarly notes that the cause of anti-cruelty “was an effort that one might take up occasionally, episodically, among other projects, paying for a sermon on the subject, giving one, or getting up a petition, or introducing a bill in Parliament. And then, in most cases, you went on to matter that concerned you more” (44). Perkins identifies William Cowper’s 1774 poem The Task, which “strongly urged compassion for animals, weaving this virtue into [Cowper’s] powerful image of the good person and the good life,” as one of the later catalysts for the increased awareness of the anti-cruelty movement (45). [vi] Boddice defines more clearly the charge of cruelty as one “of unmanliness, a charge of callousness, a charge of being uncivilized, on the one hand; cruelty was a masquerade for class interests, a vehicle for social control, an abhorrence of tradition or custom, on the other” (15). [vii] The Epistles for the Ladies appears in the Selected Works of Eliza Haywood I, Vol. 2. [viii] The Wife appears in the Selected Works of Eliza Haywood I, Vol. 3. For more information concerning the role Mira plays in Haywood’s periodical The Female Spectator and female subjectivity in periodical culture, see Manushag Powell’s Performing Authorship in 18th-Century English Periodicals. Powell claims that Haywood’s eidolons in The Female Spectator try “to make use of the traits any woman might use in navigating the social world . . . to educate by pleasing” (152). One of these traits is, no doubt, the ability to learn from the mistakes of others. Thus, Mira’s use of absurd and anecdotal tales of female pet keeping folly in Haywood’s conduct literature is both sadistically humorous and didactic. [ix] Braunschneider elaborates further and in agreement with numerous other sources used here which claim that a woman’s pet was “an extension of its owner’s self . . . satirical depictions of women of fashion intimate that such narcissistic consumption could be the inevitable result of British involvement in world trade and cultural exchange” (43). [x] While Haywood certainly leaned on a stock set of tropes for her writing, she did so no more frequently than her contemporaries. The degree to which Haywood relies on stock figures and conceits is vastly overstated in lieu of properly examining the multiplicities of expression found in Haywood’s writing. For an example of this maligned argument concerning Haywood’s allegedly formulaic style, see Richetti’s chapter “Popular Narrative in the Early Eighteenth Century: Formats and Formulas” in which he claims, “Haywood produced a highly successful imitation of Manley’s secret history,” but dismisses Haywood as a non-political writer (a claim which King’s biography more than adequately proves false) whose “tremendous output of popular narrative during the 1720s repeats tirelessly the formulas of the amatory novella, occasionally extend to novel length” (“Formulas” 83). Unable to admit that Haywood might be contributing to a literary tradition rather than simply poorly mimicking it, Richetti compartmentalizes and condescends, designating this form of amatory writing, “Haywoodian” (“Formulas” 91). Beilby, Ralph. A General History of Quadrupeds. The Figures Engraved on Wood by T. Bewick. 2nd ed. Newcastle upon Tyne, 1791. Eighteenth Century Collections Online. Gale. Purdue University Libraries. 20 Apr. 2017. Boddice, Rob. A History of Attitudes and Behaviours Toward Animals in Eighteenth- and Nineteenth-Century Britain: Anthropocentrism and the Emergence of Animals. Lewiston: Mellen, 2008. Print. Braunschneider, Theresa. “The Lady and the Lapdog: Mixed Ethnicity in Constantinople, Fashionable Pets in Britain.” Ed. Frank Palmeri. Humans and Other Animals in Eighteenth-Century British Culture: Representation, Hybridity, Ethics. Burlington: Ashgate Publishing Company, 2006. 31-48. Print. Haywood, Eliza. Selected Works of Eliza Haywood I. Ed. Alexander Pettit and Christine Blouch. Vol. 2. London: Pickering & Chatto, 2000. Print. —. Selected Works of Eliza Haywood I. Ed. Alexander Pettit and Margo Collins. Vol. 3. London: Pickering & Chatto, 2000. Print. —. The History of Jemmy and Jenny Jessamy. Ed. John Richetti. Lexington: UP of Kentucky, 2005. Print. —. The History of Miss Betsy Thoughtless. Ed. Christine Blouch. Peterborough: Broadview P, 1998. Print. King, Kathryn R. A Political Biography of Eliza Haywood. London: Pickering & Chatto, 2012. Print. Eighteenth-Century Political Biographies; No. 9. Mackie, Erin Skye. Rakes, Highwaymen, and Pirates: The Making of the Modern Gentleman in the Eighteenth Century. Baltimore: Johns Hopkins UP, 2014. Print. Pope, Alexander. The Dunciad. Ed. James Sutherland. 3d. ed. rev. New Haven: Yale UP, 1963. Print. Powell, Manushag N. Performing Authorship in Eighteenth-Century English Periodicals. Lewisburg, PA: Bucknell UP, 2012. Print. Richetti, John. “Histories by Eliza Haywood and Henry Fielding: Imitation and Adaptation.” The Passionate Fictions of Eliza Haywood: Essays on Her Life and Work. Ed. Kirsten Saxton and Rebecca Bocchicchio. Lexington: UP of Kentucky, 2000. 240-58. Print. —. “Popular Narrative in the Early Eighteenth Century: Formats and Formulas.” The English Novel, Volume I: 1700 to Fielding. Ed. Richard Kroll. New York: Routledge, 2013. 70-106. Print. Tague, Ingrid H. Animal Companions: Pets and Social Change in Eighteenth-Century Britain. University Park, PA: The Pennsylvania State UP, 2015. Print. Thomas, Keith. Man and the Natural World: A History of the Modern Sensibility. London: Allen Lane, 1983. Print. This entry was posted in Women's Lives in the 18th Century and tagged animal life, animal rights, feminism, gender studies, Haywood, pets. Bookmark the permalink. Christopher Queen (University of Arkansas, B.A. ; Purdue University, M.A.) is a student of medieval English literature and culture. His research interests include gender, sexuality, queerness, and spatiality in medieval literature as well as 18th- and 19th-century medievalism. He will be continuing his education at the University of California–Riverside, where he will begin his coursework towards a Ph.D. in medieval English literature.